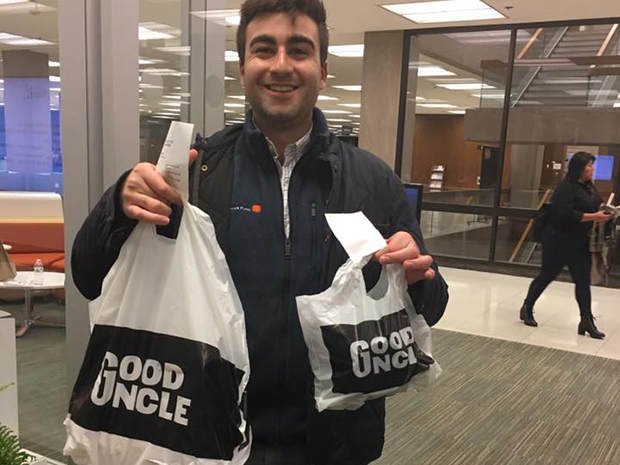 Food delivery company Good Uncle is expanding to 15 college campuses this fall, The Daily Orange reports. The company plans to grow along the East Coast and is looking at opening at schools such as George Washington University, Pennsylvania State University, Villanova University and American University. Good Uncle hopes to open at 50 to 100 campuses by 2019. Starting as a delivery-only kitchen in 2016, Good Uncle partners with local restaurants to recreate their popular dishes and then deliver them to college students. The company offers free delivery, no delivery minimum and late-night hours. Students are able to have meals delivered until 3 a.m. Thursday through Sunday and until midnight from Monday to Wednesday. The company offers one-time deliveries as well as meal plans. Starting this fall, Good Uncle will also be working with “Iron Chef America” contestant Erik Battes to create a line of healthier menu items. Read the full story via dailyorange.com.